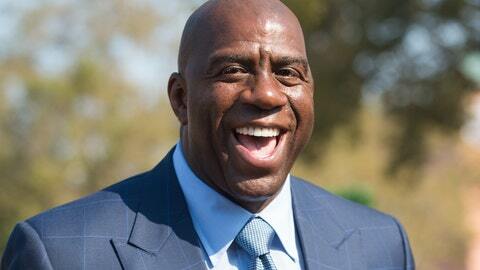 Magic Johnson didn’t wait long to make a move. Hours after being named the Lakers’ president of basketball operations, Johnson traded the team’s leading scorer, Lou Williams, to the Houston Rockets. He wasn’t kidding when he said Tuesday afternoon they had been “wheeling and dealing“. Not bad, Magic, not bad. It could have been a lot better, but at least he wasn’t fleeced. We’re grading on the curve here. The deal might have been made in some haste, but netting a first-round pick for Williams was a solid return. There were questions if an all-offense, no-defense guard like Williams — who is on a favorable $7 million a year deal that runs through next season — would net a first-rounder. Magic landed that first-rounder — there’s no need to nitpick about where it is. 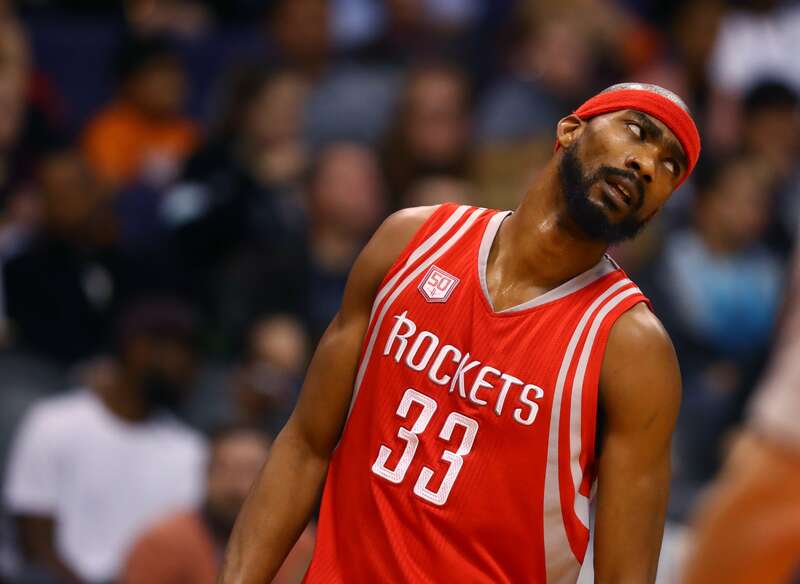 There is some peculiarness in the Lakers taking back Corey Brewer in the deal – he actually makes more than Williams and is under contract until the end of next season. Brewer isn’t going to be of much value to the Lakers, so taking on his salary just to net a late-first-round pick isn’t prudent. (Don’t tell this guy, though). Still, the Lakers needed to move Williams — he’s only going to help them win games and the rest of the Lakers’ season should be a full-on tank. Getting Houston’s first-round pick was a solid B+, taking on Brewer (there wasn’t a team that would provide a better salary-match player?) gets a D — let’s split the difference. The Rockets have now quadrupled down on their “we can win with an incredible, shoot-at-will offense and no defense whatsoever” belief. Sweet Lou will fit in well with the rest of the dribble-drive All-Stars. Did Houston need another offensive sparkplug to come off the bench? No. Is it a bad thing to have another offensive sparkplug coming off the bench? No. 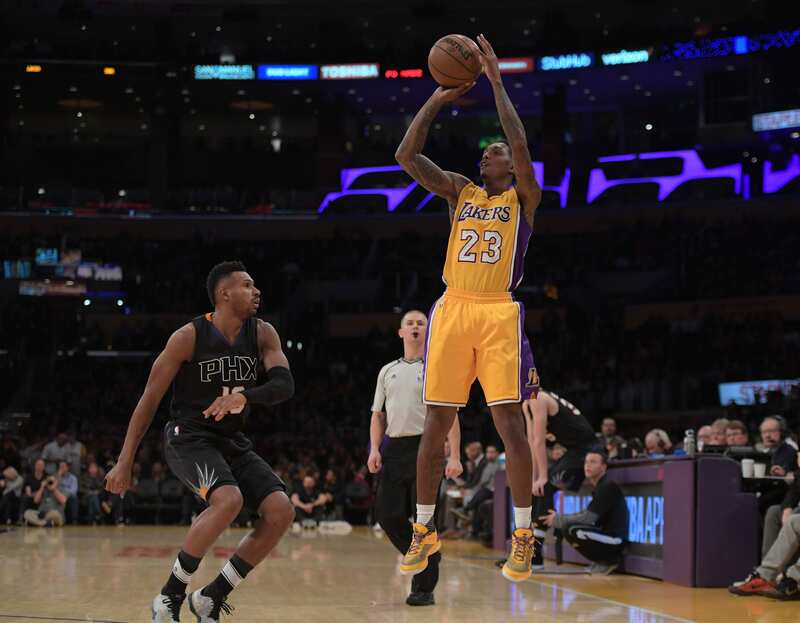 Giving up a late first-round pick to replace Corey Brewer with Lou Williams is a worthy tradeoff for a team looking to compete for a title this year. Could they have done better? Sure — but not every deal can be made with the Sacramento Kings.